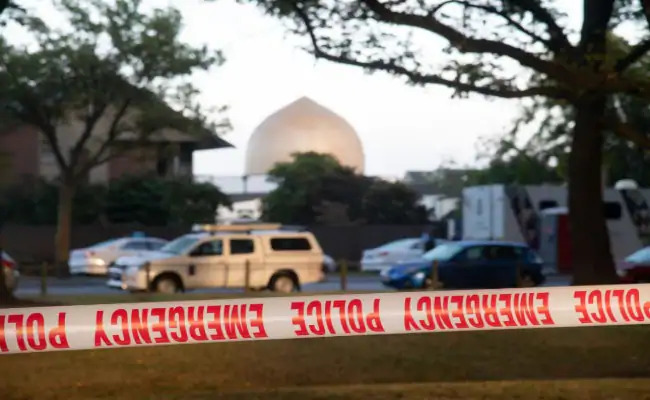 Ever since the news broke on March 15 of two consecutive mass shootings at the Al Noor Mosque and Linwood Islamic Centre in Christchurch, New Zealand, corporate media has been determined to establish that suspect Brenton Tarrant acted alone in the terrorist attacks that took the lives of 50 innocent Muslim worshippers and wounded 50 others. While mainstream media has been predictably eager to parade the tragedy as another chapter in the wave of rising Islamophobia and right-wing extremism globally, they have put equal effort into conscientiously avoiding any evidence that contradicts the 'lone wolf' theory they decided on in the initial hours following the first mass shooting in New Zealand since 1997. "I am not a direct member of any organization or group, though I have donated to many nationalist groups and have interacted with many more. No group ordered my attack, I make the decision myself. Though I did contact the reborn Knights Templar for a blessing in support of the attack, which was given." As many have noted, the "Knights Templar" is the name of an anti-Muslim militant group that another infamous right-wing terrorist, Anders Behring Breivik, claimed to belong to. During the 2011 Norway attacks, Breivik targeted a government building in the city of Oslo and a youth camp of the ruling Labour party on the island of Utøya in a sequential car bombing and mass shooting that killed a total of 77 people. However, the media and prosecutors in Breivik's trial were insistent that the group was fictional and the only possibility was that he was an 'army of one' while suffering from a psychiatric disorder, another trait that is apparently only applicable to white-skinned terrorists. There was no serious inquiry into whether he was part of a larger nexus, even though he had direct contact with groups like the English Defense League (EDL), the British far right Islamophobic group led by neo-fascist agitator Tommy Robinson. Breivik was portrayed as a fundamentalist Christian but was curiously a member of the Norwegian Order of Freemasons, an organization with a history of ties to the espionage world and susceptible to infiltration because of its inherent secrecy . The original Knights Templar, or "Templars," were a Christian army founded in the 10th century who initially shielded pilgrims voyaging to the Holy Land and later fought against Muslims during the Crusades while the name is drawn from the Temple Mount in Jerusalem. The combination of far right nationalism and support for Israel may seem like an unlikely combination, but it is an ideology shared by most of the Islamophobic and anti-immigrant political parties throughout Europe that have performed impressively well in European Parliament elections. These include Hungary's Fidesz, the Italian League and Five Star Movement, the Flemish Flaams Belang, Poland's Law and Justice, Belgian People's Party, the Progress Party of Norway (of which Breivik was a member), True Finns Party, France's National Rally, Alternative for Deutschland, and many others. It is likely that Tarrant, like Breivik, is not anti-semitic and actually views Jews as 'allies' in a civilizational crusade against Islam. Just as Israel has helped orchestrate the US wars in the Middle East against its enemies that has contributed to the mass influx of refugees seeking asylum in the West, it has fostered the Islamophobic backlash to it by supporting the growing far right movement that is ascendant. Following the tragedy in Christchurch, it was revealed that 28-year old Tarrant had traveled extensively throughout Europe, the Middle East and Asia, including to Afghanistan, Pakistan and even North Korea. The year prior, he also visited Israel for nine days, just as his fellow Christian Zionist Breivik had done several times prior to 2011. Tarrant's journey in Europe included a stop in Ukraine, a hotbed of neo-Nazi activity and as it happens during the massacre he donned the SS wolf's hook symbol used by the right wing paramilitary group Azov Battalion to which Israel has provided weapons support in its fight against pro-Russian separatists. 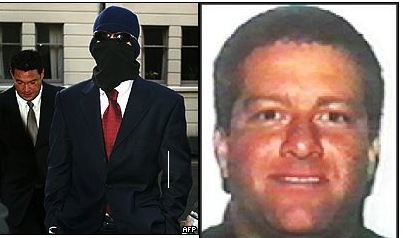 The blend of such considerable travel activity while stockpiling a cache of semi-automatic firearms with a digital footprint espousing his extremist views online makes the likelihood that Tarrant managed to remain under the radar of the New Zealand Security Intelligence Service (SIS) difficult to believe. It is especially doubtful they would be unable to detect him considering he was reportedly interviewed by New Zealand police prior to obtaining his firearms license in 2017. Judging by the Facebook live-streamed video of the massacre shot by the suspect himself wearing a GoPro head-mounted camera that resembled a first-person shooter video game shows he was no amateur and possibly professionally trained as a militant. Given his extensive travel and the apparent expertise used to carry out the attacks, there are many legitimate questions about how his ventures were sponsored and whether he had accomplices. Police found undetonated car bombs in addition to his arsenal and believe he was planning on carrying out a third attack with them. What was he doing in his travels? Was he really able to finance everything alone using crypto-currency investments as purported by the media? He could very well have been a patsy in a larger plot or received support from abroad. For instance, from a certain national intelligence service whose notorious motto is "for by cunning stratagems, you wage war." Mossad covert operations have been exposed several times over the years violating New Zealand's sovereignty and international law which caused a series of diplomatic rows between the two countries. Most recently was in 2011 following a 6.2 magnitude earthquake in Christchurch which caused significant damage to the city and killed 185 people, coincidentally the very same week as the attacks in Norway by Anders Breivik. Incredibly, a stone structure of a building collapsed onto a van during the earthquake which killed a man inside who turned out to be an Israeli national. His death accidentally unearthed a ring of Mossad agents after the man was discovered with multiple fake passports and USB flash drives which contained confidential data believed to have been illegally downloaded from the New Zealand police's national computer system. The other agents in the Israeli sleeper cell were able to flee the country less than a day after his body was discovered, probably to avoid the fallout that occurred after an earlier incident in the country just a few years prior. In 2004, two Israeli men who turned out to be Mossad agents were arrested trying to obtain fraudulent passports and travel documentation that included stealing the identity of a quadriplegic. The two men were subsequently jailed for six months for engaging in criminal enterprise. Mossad seemed to have developed a habit of revealing themselves in light of the infamous arrest of five of its agents in Secaucus, New Jersey on the morning of September 11th, 2001 by the FBI who were tipped off that a group of men were observed suspiciously dancing and celebrating while watching the WTC towers ablaze and collapsing across the Hudson River. The "dancing Israelis" were found with $5,000 in cash which raised suspicions while their vehicle was traced to a shady moving company called Urban Moving Systems that was suspected to be a front for an intelligence operation after their headquarters was abandoned and its owner, Dominick Suter, immediately fled to Israel following their apprehension. During their two month detention, the CIA intervened and halted the probe while the agents were subsequently deported in a deal with the Israeli government for overstaying their visas but not before it was confirmed that at least two of the men were intelligence officers and no ordinary moving company employees. The world was briefly reminded of this mysterious case when Donald Trump as a presidential candidate in 2016 made the wild exaggeration that on 9/11 he had personally observed "thousands of Muslims" celebrating the destruction of the Twin Towers across the river in New Jersey. It is likely that Trump mixed up two different reports from 9/11, one of Reuters footage widely circulated by major networks of a small group of Arabs in East Jerusalem celebrating the attacks and the reports about the Israelis arrested in New Jersey who were initially believed to have been of "Middle Eastern appearance" and descent. One wonders if Trump would accurately recall his other observations that morning now that he is in the service of his Saudi and Israeli masters. Needless to say, this widely suppressed story which should have been front page news led many to rightly suspect there was prior knowledge and even direct involvement among Israeli intelligence in the 9/11 attacks, along with a trove of other evidence. Relations had returned to normal between the countries until December 2016 when along with Malaysia, Senegal, Venezuela and others, New Zealand co-sponsored the controversial United Nations Security Council Resolution 2334 which condemned Israeli settlements in occupied Palestinian territories during the last months of the Obama administration. The same motion briefly became mired in the Trump-Russia investigation when former National Security Advisor Michael Flynn pled guilty to lying to the FBI about lobbying activities related to the resolution during the transition between administrations on behalf of Israel. The Trump White House has since proven to be the most fanatically Zionist presidency since the foundation of the Jewish state in 1948. Over the years, New Zealand has shown a willingness to stand up to Jerusalem and its brazen disregard for international law that other nations could learn from. Despite being a small nation, it has played an important role in pro-Palestinian activism and the prospect of Palestinian statehood just as it did in protesting South African Apartheid in the 1980s. In 2018, when New Zealand-born popular musician Lorde canceled a concert in Tel Aviv in solidarity with the Boycott, Divestment and Sanctions (BDS) movement, she became the target of vicious Zionist smear campaign which saw right-wing Trumpist Rabbi Schmuley Boteach take out a full-page ad in The Washington Post denouncing her as a bigot while a $13,000 lawsuit was filed by the Mossad-linked Shurat HaDin lawfare NGO. Meanwhile, unlike Australian Prime Minister Scott Morrison, Jacinda Ardern has been critical of the Trump administration's move of the U.S. embassy from Tel Aviv to Jerusalem, stating it undermines the Israeli-Palestinian peace process. New Zealand's relatively even-handed foreign policy has likely rattled the Zionists and their far right Islamophobic counterparts in the West and it is possible that it is viewed as a threat to the interests of Israel and the U.S. The feasibly manufactured terrorist attack against New Zealand has greatly disrupted the small country, a state which in 2018 had its lowest homicide rate in 40 years and averages well below 100 murders per year, making this attack an extremely rare occurrence for the peaceful country. In light of the attacks on the mosques in Christchurch, it could now end up acquiring the police state model of the U.S. and Israel as part of the global 'War on Terror.' The country immediately issued a ban on semiautomatic weapons following the tragedy in a disturbing rollback of civil liberties while engaging in an unprecedented censorship effort to criminalize sharing and possession of Tarrant's manifesto and video. Prior to Breivik's perpetration of the attacks in Norway, there had been significant political tensions between Oslo and Jerusalem in the months leading up to the violence due to Norway's intent to recognize a Palestinian state and the circumstances in relations between New Zealand and Israel prior to Christchurch is eerily reminiscent. Independent journalist and geopolitical analyst published in Counterpunch, Unz Review, Off-Guardian, Greanville Post, Dissident Voice, Global Research, and more.